Bud Light Lime Introduces Lemon-Ade-Rita in Time for Spring and Summer Entertaining. 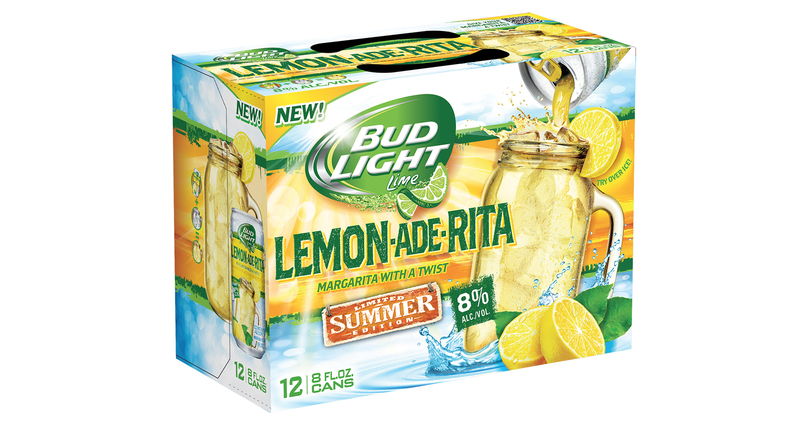 The popular Bud Light Lime-A-Rita franchise continues its expansion by introducing Lemon-Ade-Rita, a new summer seasonal flavor joining the Rita brand. 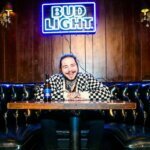 As consumer demand for convenient cocktail solutions and more delicious flavor variants in the Rita family increases, Bud Light continues to demonstrate the unique ability to introduce new, great tasting and flavorful drinks to a broader audience of beer drinkers. 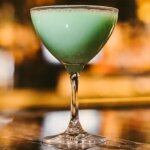 Bud Light Lime Lemon-Ade-Rita is a lemonade margarita-flavored alcohol beverage with a twist of Bud Light Lime that is ready-to-drink with just one pour and best served over ice. Lemon-Ade-Rita is perfectly positioned to provide consumers with a new taste sensation and joins the Rita portfolio including permanent flavors Lime-A-Rita, Mang-O-Rita, Raz-Ber-Rita, Straw-Ber-Rita and seasonal flavors Apple-Rita and Cran-Brr-Rita. 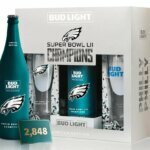 The Bud Light Lime Rita family, named a Nielsen Breakthrough Innovation Winner in 2014, makes up more than one-third of the FMB (flavored malt beverage) category. Since the launch of Lime-A-Rita in 2012, the Rita brand’s four core flavors claim the top four spots in the FMB category. The new Lemon-Ade-Rita naturally aligns with Bud Light’s fun and social positioning and is an ideal choice for parties and outdoor refreshment, especially as the weather gets warmer. In celebration of the newest flavor launch, Bud Light Lime Lemon-Ade-Rita collaborated with renowned swimwear brand KAOHS to create a special edition Gypsy bikini bathing suit in a custom Lemon-Ade-Rita color. Bathing suits are available beginning today for a limited time only on Kaohs.com/ at $82/item. 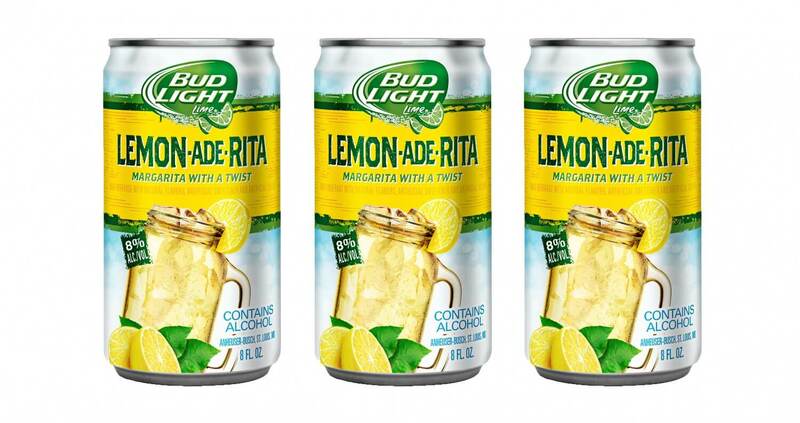 Bud Light Lime Lemon-Ade-Rita will be available in 12-pack, 8 oz. cans, four-pack 16 oz. can and 25 oz. cans. 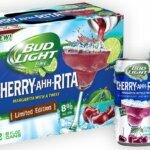 Ritas are 8%* alc/vol flavored malt beverages that blend the refreshment of Bud Light Lime with the taste of authentic margaritas flavors. For more information on Bud Light Lime Rita, visit BudLight. *6% ABV version of Bud Light Lime Ritas are available in Maine, New Hampshire and Tennessee.